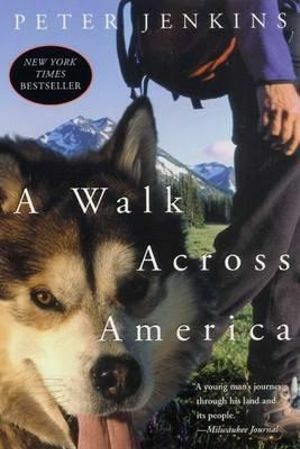 Twenty-five years ago, a disillusioned young man set out on a walk across America. This is the book he wrote about that journey -- a classic account of the reawakening of his faith in himself and his country. "I started out searching for myself and my country," Peter Jenkins writes, "and found both." 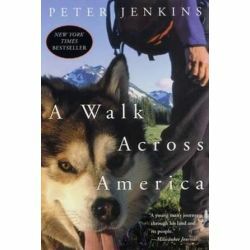 In this timeless classic, Jenkins describes how disillusionment with society in the 1970s drove him out onto the road on a walk across America. His experiences remain as sharp and telling today as they were twenty-five years ago -- from the timeless secrets of life, learned from a mountain-dwelling hermit, to the stir he caused by staying with a black family in North Carolina, to his hours of intense labor in Southern mills. Many, many miles later, he learned lessons about his country and himself that resonate to this day -- and will inspire a new generation to get out, hit the road and explore. Produkt został dodany 06.12.2018 22:19. Ostatnia zmiana danych produktu miała miejsce 06.12.2018 22:19.